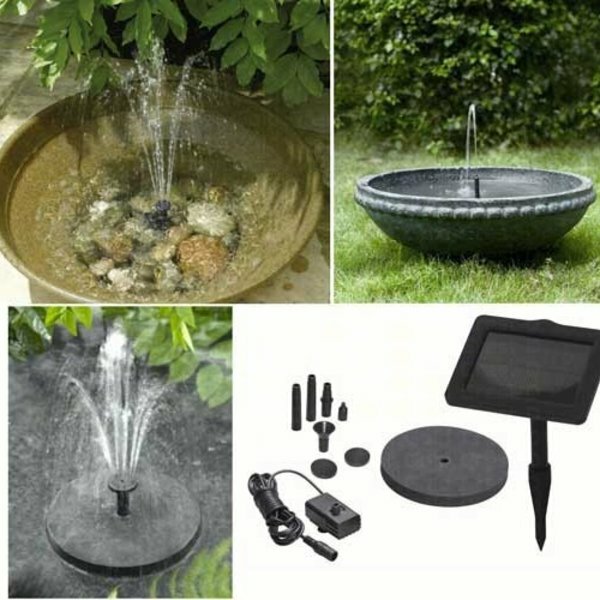 Toskana SunJet 150 Mini Solar Pump Kit. 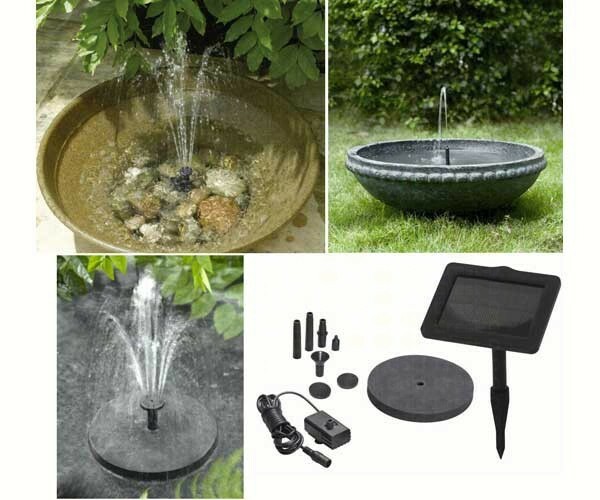 Create your own water feature fountain. Height up to 35 cm / 14 inches. Three different fountain heads. Operates in full sunlight. The Sunjet 150 can be placed under water or can float on the water surface. Your choice will depend on the water depth and type of reservoir used. If the water depth is shallow, we suggest the under water assembly. For deeper reservoirs or ponds, you will need to use the floating assembly. Solar Panel Mounting Solar panel can be mounted using the ground spike or wall/deck bracket. Slide the pivot assembly onto the back of the panel and then use with your selected mounting option. Solar Panel Position Position the solar panel so that it receives direct sunlight. The fountain will not work if the solar panel is shaded. The fountain can be placed anywhere within reach of the cable. Anchor Sack To prevent the pump moving around, use the anchor sack and line provided. Fill the sack with stones and tie it to the pump, the length of line can be altered to limit how far the pump can move. Frost can cause damage to the pump. The pump MUST be removed and stored in a frost proof environment if the water is likely to freeze. Cord length is approx. 8 foot.